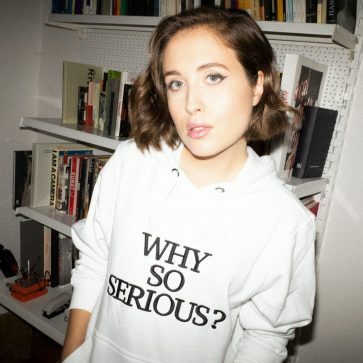 English born, German based singer songwriter Alice Merton releases her most upbeat and infectious single to date, ‘Why So Serious’, written by Alice and longtime co-writer / producer Nicolas Rebscher, alongside an off-the-wall official video. It is taken from her forthcoming debut album‘MINT’ which will be released in January 2019. After rising to fame with her explosive self-released debut single ‘No Roots’, it’s been a whirlwind couple of years for Alice Merton. The track has helped Alice rack up over 250M streamsand 100M YouTube views, has been certified Platinum in 6 countries, and reached the Top 10 single in 10 countries.